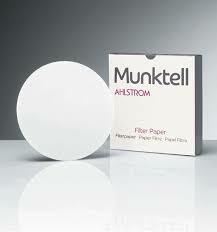 Ahlstrom-Munksjö seed testing papers have the characteristics required for germination substrate filter paper. Our blotter papers are made of cotton linters and/or pure cellulose, they are sufficiently strong for the test, and do not contain any substances that could influence the growth of seeding. A broad weight range enables the seed technician to maintain the required moisture level for the whole duration of the germination test period. Our seed germination blotter papers are available in various colors, which makes analysis of tiny, almost transparent germinating roots straightforward.